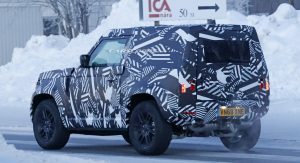 Update 1/23/2019: Our spies caught the shorty Land Rover Defender 90 again, this time testing in Sweden. We’ve added a new gallery of photos below, along with some new information in our article. 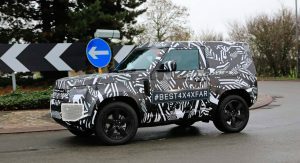 The all-new 2020 Land Rover Defender will carry on the tradition of offering at least two wheelbase configurations. 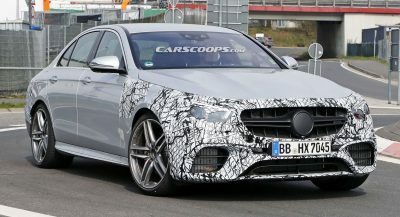 Some say it will even bring a third wheelbase labeled “130” but we’ll believe that when we see it. 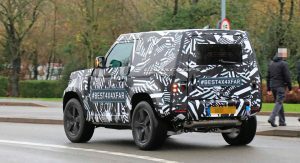 Following the first spy shots of the upcoming Defender that showed the five-door, long-wheelbase 110 version, we can now bring you the three-door, short-wheelbase 90 model. 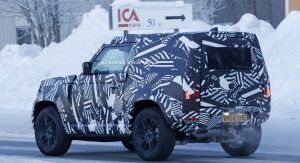 We’ve spied it twice, the first time near Jaguar Land Rover’s headquarters in the United Kingdom, and more recently, undergoing cold-weather testing in Arjeplog, Sweden. As you can see, the Defender 90 is significantly shorter than the 110, making it even more suitable for extreme off-roading thanks to its vastly superior break-over angle. 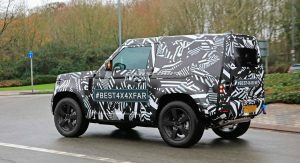 As with its longer sibling, it is completely covered in camouflage and disguise material but those can’t hide the boxy shape of the bodywork. 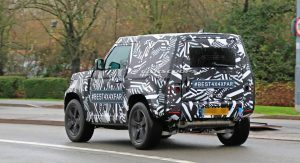 Unlike the Defender 110, however, this particular prototype doesn’t feature a spare tire mounted on the side-hinged rear door. That likely means the full-size spare wheel will be an optional feature. 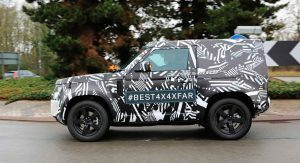 Everything else looks just like the five-door prototype we previously – including the camouflage pattern with the cheeky #BEST4X4XFAR hashtag on the UK tester. 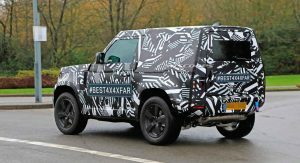 Despite the styling link to its predecessor, the 2020 Land Rover Defender is very much a modern vehicle and the technology on board will reflect that. Unfortunately, not much is known about the rugged off-roader’s underpinnings. 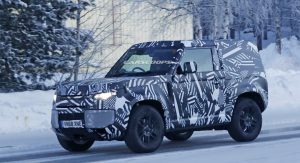 However, the 2020 Defender could be the first vehicle built on Jaguar Land Rover’s new flexible Modular Longitudinal Architecture (MLA). This platform is expected to equip most of the carmaker’s vehicles by 2025. 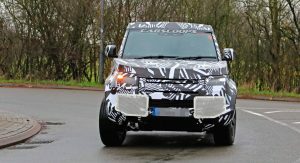 JLR previously said in an investor presentation that the first model to use the architecture will arrive in 2020. 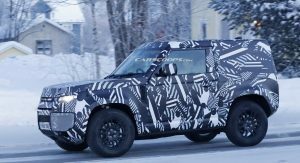 Given that the Defender is expected to go on sale in 2020, it’s likely the vehicle that will debut MLA. The new platform is capable of accommodating ICEs, mild-hybrid, plug-in hybrid, and all-electric drivetrains. 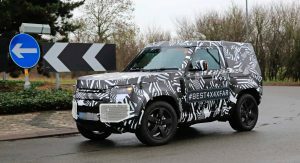 Besides obvious gains when it comes to weight saving and stiffness, the new platform is also expected to deliver a much more comfortable ride, thanks in part to an independent rear suspension. 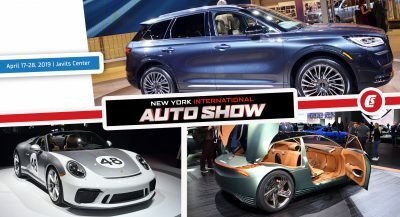 Engine options are yet to be confirmed, but entry-level models should use turbocharged 2.0-liter gasoline and diesel engines. Six-cylinder units are likely to be available too. 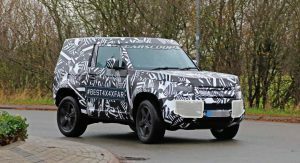 Expect to all-new Land Rover Defender to debut towards the end of 2019, with the first vehicles to be shipped from the new plant in Slovakia in dealerships worldwide starting in 2020. 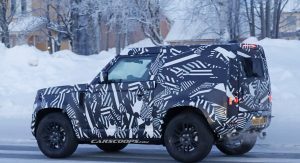 For the first time in a little over two decades, the Defender will be sold in America and Canada as well, as Land Rover recently confirmed. Okay, the end of 2019 considering this looks like to still be in prototype. It’s probably 90% production-ready right now. The camouflage is to disguise its shape, not because the design isn’t finished yet. 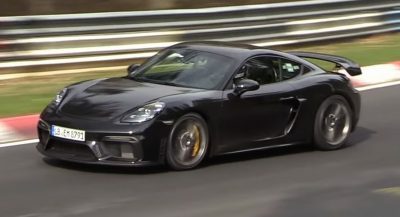 Most of the testing now will be things like final suspension tuning, gearbox ECU calibration etc. Can’t make my mind to like it or not yet. It’s too early to make that decision anyway. We’ll have to wait and see. Ummm, Actually, that’s exactly what the camouflage is doing. 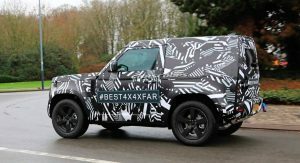 4×4 also known as 4 by 4. Best 4 by 4 by far. It’s an old advertising slogan of Landrover’s. 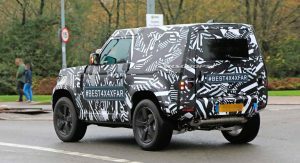 Does the Defender have brand cachet like the G-Class (or Jeep Wrangler)? I’m fairly certain that the Defender name doesn’t, at least in the US. The Defender has hectic brand cachet. Arguably moreso than the G-Class (maybe not the Wrangler) in the rest of the world. The prices on second-hand Defenders are already climbing. 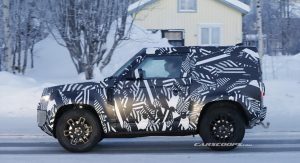 My god, what is Ford doing with the Bronco?? I haven’t seen one single spy pic of the Bronco. 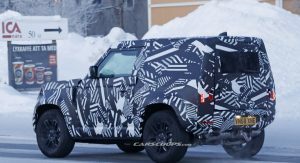 This nice Defender is out testing around town and the Wrangler was caught for many months before being revealed. That bronco Must be damn special! Amazing that you can tell that just from that photograph. There are some gifted people on this site, some of which can also see right through bulky camouflage to determine how ‘bad’ it will look. 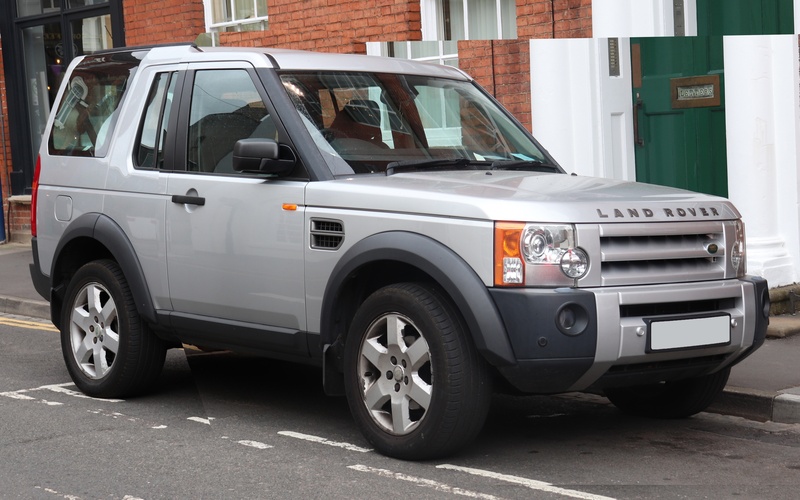 And you’ve got be heroic to trust a Landrover’s reliability. 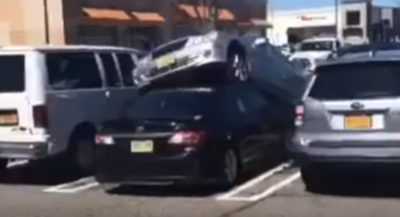 Nothing looks right about this. 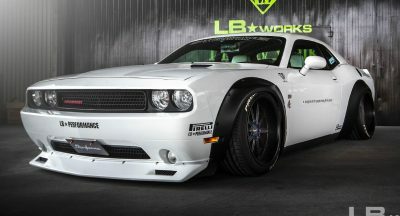 Not the proportions, tires, wheels, hood, etc. I don’t agree about proportions. Other stuff are still camouflage. Probably it will be the current LR design language but with a big utilitarian (these days this word has a really stretchy meaning) influences. I believe it will be a nice one. 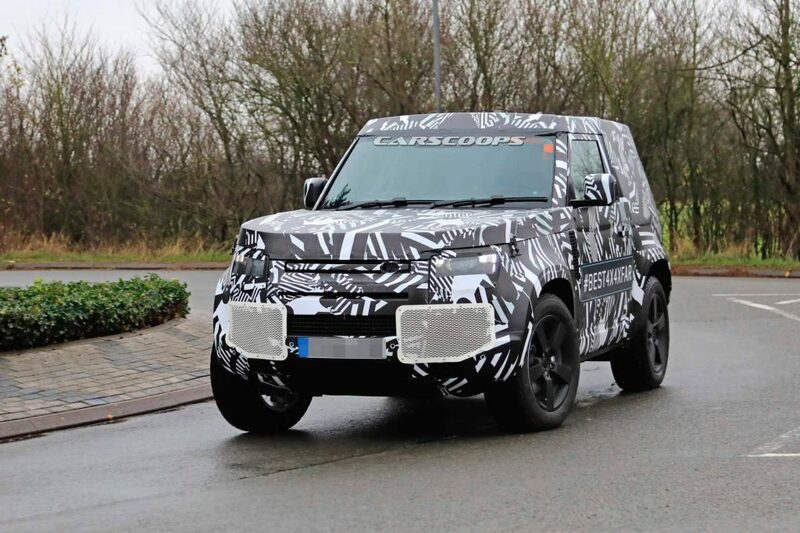 I think it’s due to body cladding making it look more boxy and bigger than what it really is. They’re definitely trying to hide what it will look like. If you look at the top of the windscreen you can see they’ve basically put a box on the entire roof so we can’t see what shape it will be. Thanks for posting a decent picture compared to the leaked silly paint. Nothing about this vehicle screams off road. Typical rich man highway crawler that may do a little off road on the shoulder or parking in the grass if the paved lot is filled. I’m not taking a 100 K vehicle off road anyway. 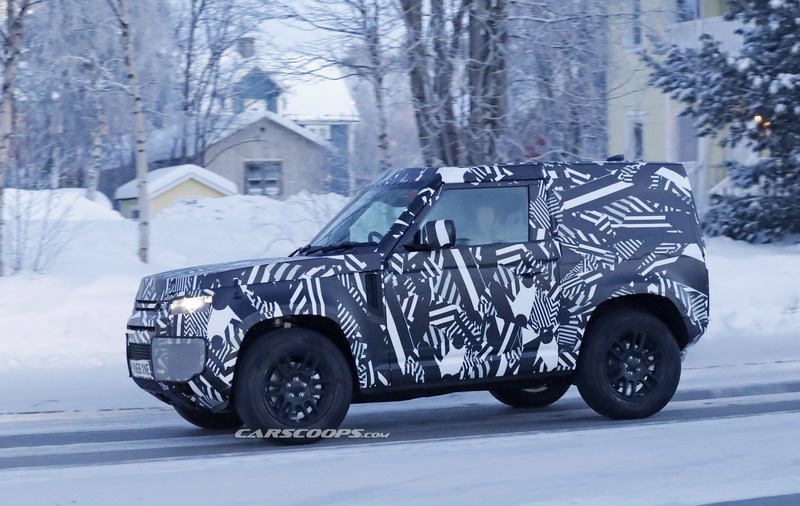 The only thing I will point out is the short wheelbase, in the states all we see are led sleds made for lazy fat rumps and the vehicles are as large as the titanic. So how far will a short wheel base vehicle sell to the demographic that would spend such money to ride the interstate??? I don’t think much other than a status symbol. This is not anything like the defender 90 or any other true off road real vehicle where scrapes and bruises are the norm working the hinterlands. 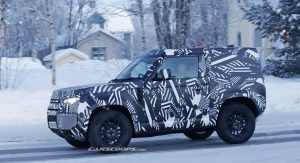 Stop with this and show us the GD spy shots of new Bronco!!! He says what we’re all thinking! I don’t think many of us were thinking about the Bronco to be fair. I was definitely thinking about the Bronco to be fair. Sorry, Bronco is not good enough for you. 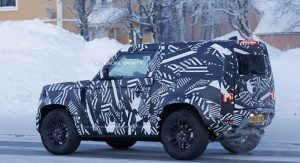 You got money and can afford this new Defender when it comes out with 60K price tag. Have fun. Even rich people still get new Wranglers. I never said Bronco wasn’t good enough, but it’s a nameplate virtually unknown outside of the USA. 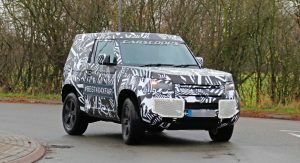 The Defender has always been more of a ‘world’ vehicle, hence why so many people outside of the UK are eager to see what LR does with it. I doubt Bronco would be shipped overseas. I haven’t heard/read anything about that. Everest takes on that role. That’s the problem. Ford is so good at keeping it out of public eyes and spy photographers! I’ve seen pics of bronco testing in Everest body like almost 2 years ago but it’s not the same thing. I wanna see the real boxy body under camo or painted camo. 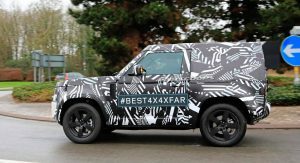 BEATING FORD TO THE MARKET WITH A NEW BRONCO. 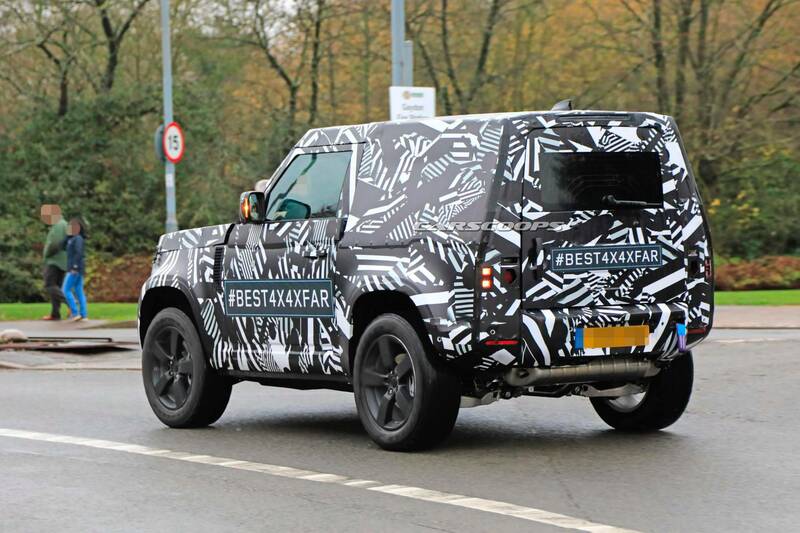 Independent Front Suspension, Independent Rear Suspensions, no body on frame, Why call it a defender? they stripped all the offroad features you want in a vehicle like this. If you’ve driven a Defender then you would understand. This could be very cool. It’s a rare type of vehicle that they shouldn’t refine too much. 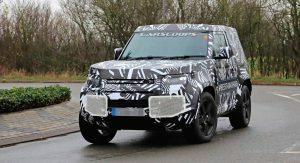 Will they ever make a real Land Rover again? The Hood is really going to be that square looking?